“Our family could not thank Chris Koepplin enough for the time, energy and enthusiasm he brought every time he trained our son Ryan Norton. Chris created a great, professional environment from the first session he had in the summer of 2010 all the way through when Ryan left for college and still to this day. He is a talented teacher who has always been able to meet Ryan at every phase of his kicking journey and help push him forward and progress to the next level. One of Chris’ greatest strengths is his ability to mentor. He not only taught Ryan the fundamentals of kicking, but guided my husband and I through the recruiting process. 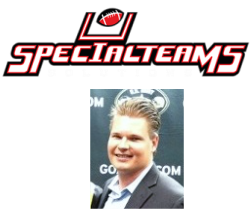 He used his own personal kicking career to help create a personalized plan to gain exposure for Ryan with colleges. 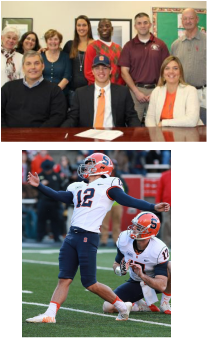 Ryan, with the help of Chris, signed with Syracuse University in 2012. We are so fortunate to have had Chris Koepplin and we wish him much continued success. 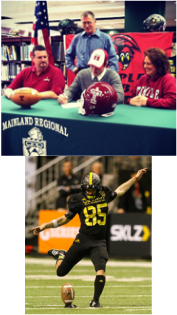 "Chris Koepplin is not only a great kicker but a great teacher of kicking. He gets it. I have seen him working first hand as a Coach at my Special Teams Solutions camps for the past eight years. He definitely has a special way of connecting with young specialists to improve their skills." “I have had the pleasure of knowing Chris for about 8 years now. I have watched him perfect his skills from his early days in college through his training camp days with the New England Patriots. Chris is like a master mechanic of placekicking. He has a keen ability to analyze a kicker’s performance down to the smallest detail. And trust me there are no small details in kicking. He not only teaches the path to perfect mechanics but can diagnose the problems that all placekickers face and offer solutions and drills to overcome them. - Jim Cooper, Father of Jim Cooper Jr.